Customs office of Iran and Pakistan has begun having electronic links, according to Iran's Customs Office, IRNA reported. 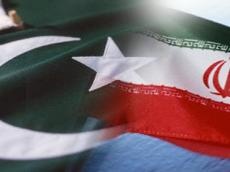 Iran sent its first exports cargo to Pakistan on Tuesday through Mirjaveh Customs Terminal in eastern country with e-TIR system. The United Nations Economic Commission for Europe (UNECE) administers the TIR Convention, which was established in 1959. Iran joined the Convention more than 40 years ago. E-TIR system allows the two countries to have access to all related information at any time, and view the information of the cargo before delivery which is useful for both sides and decreases the risk of deception, accelerates customs formalities and reduces the costs.